Sheltered south or south-west facing wall or fence, or under glass in cooler climates. 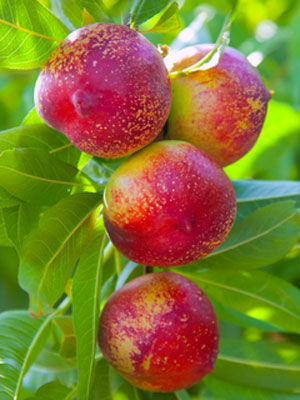 Elsewhere nectarines need full sun to limit disease and produce high quality fruit. Garlic and Marigold. Corridors within the orchard that are planted with clovers and other legumes contribute to soil fertility and attract pollinators.